A heavy duty masonry bit suitable for use in hammer drills to drill through concrete, brick and stone surfaces. 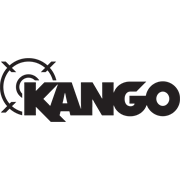 Kango masonry drill bits feature an asymmetrical flute for fast removal of debris, high volume dust entrances and hardened finish for long lasting durability. Hammer Drill use. Concrete, hollow hole brick, solid brick, natural stone.